Dubai-headquartered Emerging Graphics is a supplier of a variety of solutions for the print and packaging industry. In India, the company has its office in Navi Mumbai with sales offices in Ahmedabad, Indore and New Delhi. 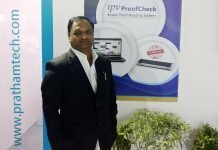 At the just held Pamex 2017, the company received good response to the solutions that it showcased at the event. 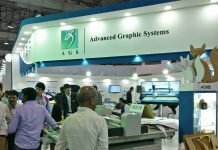 At Pamex, Emerging Graphics promoted a variety of prepress software for the packaging as well graphics industry. It also demonstrated a digital cutting table from iECHO. “The interest level shown by visitors in our software solutions as well as the cutting table was excellent. When it comes to software, I feel that customers are now keen to know more about advanced, professional software solutions. This was not the case a few years ago as many were satisfied with basic prepress software solutions. This is a big change,” said Tushar Pande of Emerging Graphics. One of the products that was promoted at Pamex was EngView, a package and display designer suite which is an integrated CAD/CAM software for 2D design of folding carton, corrugated and rigid board. Another software that Emerging Graphics talked about was PaSharp from China-based Founders. 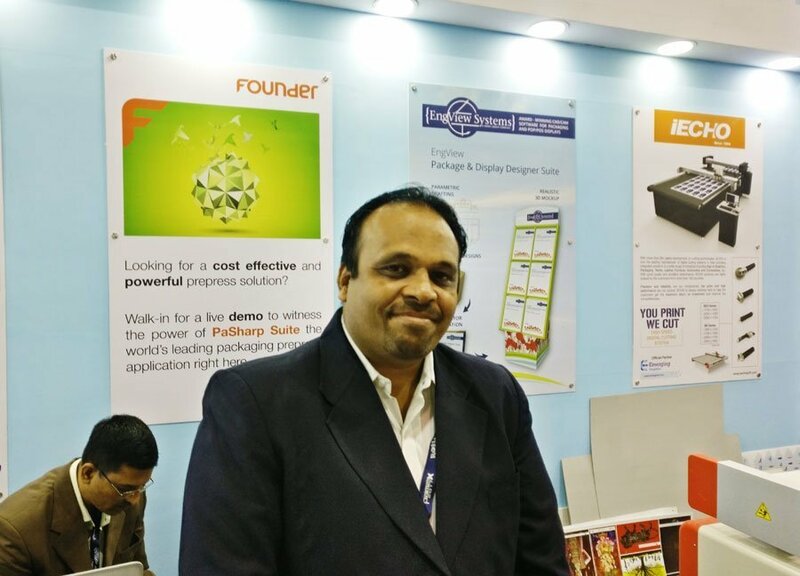 The PaSharp suite offers professional trapping tools, specialized step and repeat functions for packaging as well as a series of editing tools that allow prepress operators to boost efficiency and produce higher quality work. Another offering showcased by Founder was EagleRIP, which creates PDF and PostScript jobs. Pande said that software solutions offered by Emerging Graphics are now installed at Viraj Prints in Mumbai, We Pack in Surat, Nimbus Packaging in Vapi, Dev Offset at Ahmedabad and Salem Printpack at Salem, to name just a few. “The list is growing,” Pande shared. Emerging Graphics also ran a demonstration of a digital cutting table with dimension of 1.1 x 1.3 meter from iECHO. According to Pande, the cutting table is meant for customers looking to enter the packaging business and who want cost-effective solutions to start off their business. “There are 11 installations of iECHO cutting tables in India in segments such as folding cartons, textiles, etc.,” Pande said.